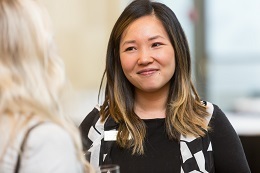 On May 9th, the Association of Women in Finance celebrated its 21st annual PEAK Awards in honour of five distinguished professionals in the field of finance. The AWF was delighted to present Bev Briscoe with the award in the category of “Lifetime Achievement”, Elisabeth Finch with the award in the category of “Champion”, Angela Kaiser with the award in the newly created category of “Significant Board Contribution”, Shannon Rogers with the award in the newly created category of “Excellence in Industry” and Jayana Darras with the award in the category of “Rising Star”. All five women impressed the over 300 guests in attendance at the gala with their heartfelt, inspiring and amusing stories of their paths to success. 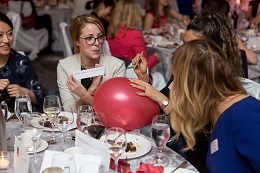 The evening was filled with reflection over this year’s theme of “Transformation of Women in Finance” and entertainment - from a massive “balloon pop” prize giveaway, to a surprise appearance from the Elektra Women’s Choir which truly did bring tears to many peoples’ eyes! 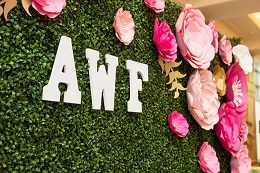 Thanks to the generosity of the gala attendees, over $17,000 was pledged for our AWF scholarship fund with all proceeds to be used to encourage women to enter the field of finance and to assist students who require financial support to reach their academic and career goals in the finance industry. We wish to thank all our generous sponsors for their continuing and passionate support. We are pleased to, once again, congratulate our five spectacular Honourees and look forward to next year’s PEAK Awards - we hope to see you there! For more details and a photo gallery of the 2018 PEAK Awards click here.